Source: Back cover states: Live at the Orpheum Theatre in Boston, 15 May, 1970. 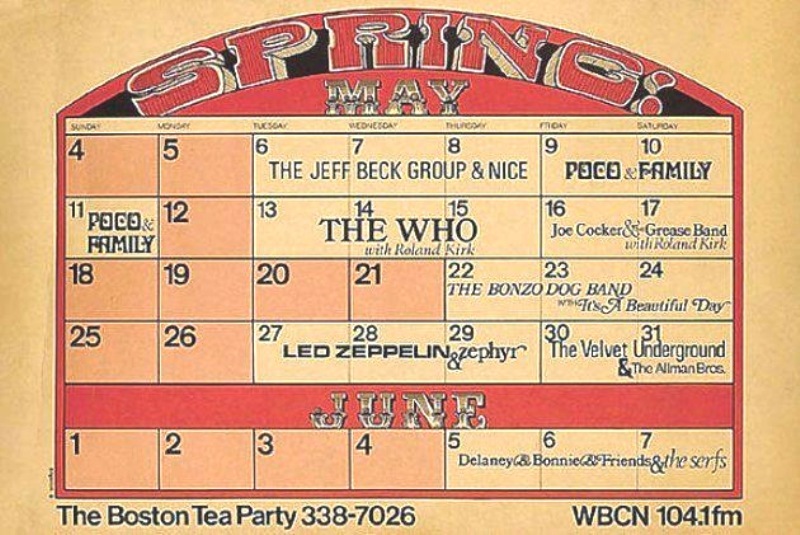 The correct date is from a series of shows played on the 9/10/11th October 1969. “This is a typical club recording, only the mics are plugged into the soundboard. One channel is missing some highs but this is how I got the tape. The singing is a bit rough, but it is Spirit!! A copy of the soundboard recording must have made its way over to Italy prior to 1982. This bootleg earned an ‘Exm’ rating in HW. Just an average month at the BTP in 1969.